Bill Bailey's Carne Asada Sriracha Burgers. Taking it to the next level! Just the right mix of flavors and textures will make Carne Asada your new favorite burger. Heat enough oil to coat a large frying pan. Sauté onions until translucent. Remove from pan and keep warm. 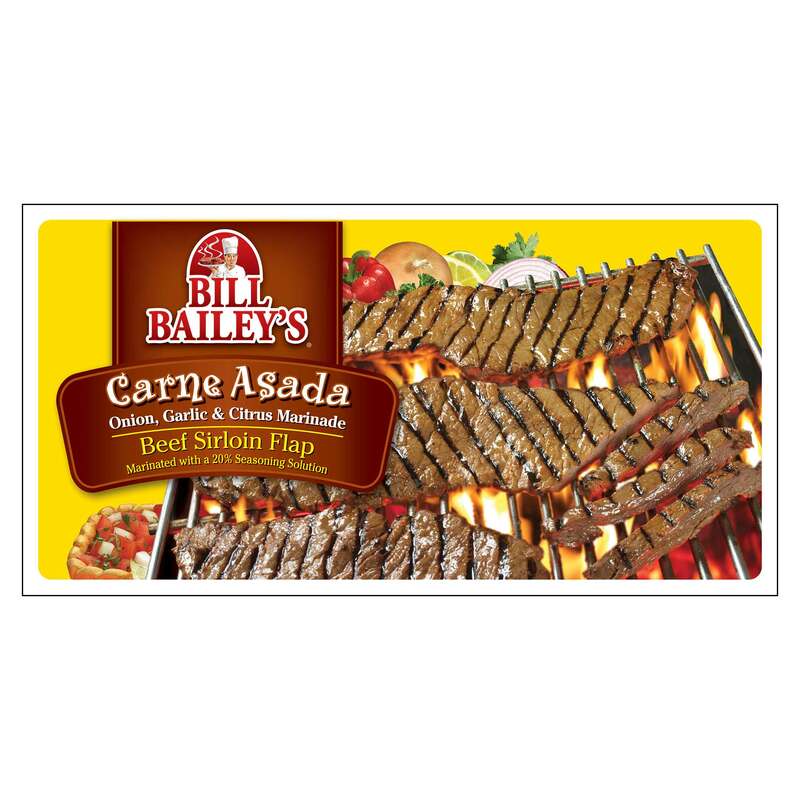 Add Carne Asada (cook in 2 batches if necessary) to pan and sprinkle with salt and lime juice to taste. Cook the Carne Asada for about 8 minutes, turning every 2-3 minutes or until cooked through to an internal temperature of 145ºF. Peel and remove seed from avocado, mash until spreadable. Spread onto sandwich rolls. Add baby spinach on top. Combine mayonnaise and Sriracha in a medium sized bowl, stir until blended. Add onions to the bowl. Toss to coat. Pile Carne Asada onto sandwich rolls, add onion mixture. Close sandwich and serve.